There are a LOT of discounts you can get just by being a college student in Philly, and that includes Zipcar – for just $15/year (that’s an $80 discount!) you can become a member and have a car at the ready whenever you need it. We’ve rounded up our top picks for day trip winter activities in Philly, below. Sign up for Zipcar today and text your friends – you’re driving! And as any good passenger knows, they’re responsible for a Wawa run before the road trip for snacks. 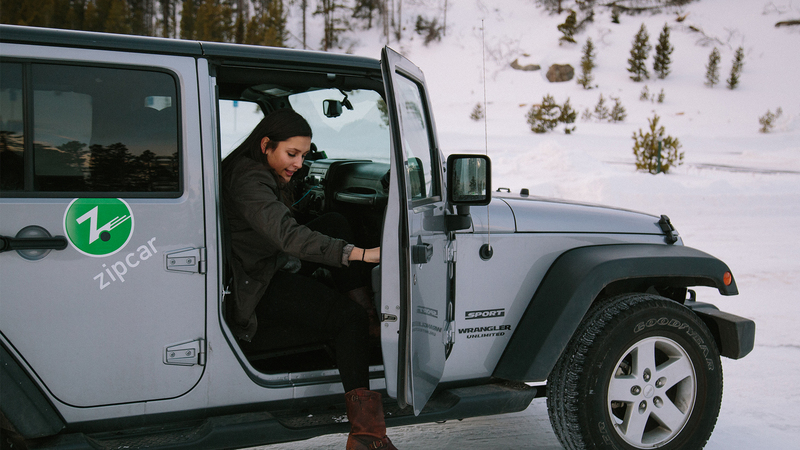 There’s plenty of room for gear, and more friends, in one of Zipcar’s Jeep Renegades! If you ski or snowboard, or just want an excuse to cozy up in a mountain lodge with hot cocoa, head to one of these ski resorts just a few hours outside the city. Don’t forget to bring your student ID to take advantage of their discounts for college students! Do you and your friends need a ride to the FREE Radio 104.5 Winter Jawn on Saturday, January 26 at Xfinity Live? Snag a Zipcar vehicle that seats up to you and 6 friends so you can enjoy performances by Young The Giant, Matt & Kim, lovelytheband, The Interrupters, and so many more. Did we mention the event is FREE?? If you’re looking for volunteer opportunities in honor of Martin Luther King, Jr. Day, or just want to do some good this winter, Zipcar is a proud supporter of Philly Food Rescue. Rent a Zipcar and help volunteer this winter by transporting food from donors to recipient partners. You can be a food rescue hero and help provide better access to food where people live, work and gather by volunteering with Philly Food Rescue. Read more about the organization, and learn how YOU can make a difference. Rent a Zipcar and spend your day transporting food to those who need it most! Get excited – there’s endless possibilities of where to explore around the Philly region, and with the ease of renting a Zipcar and the super affordable student discount of just $15 for the year, there’s no reason to not join. Road trip, anyone?